In honor of National Cancer Survivors Day, read how Bethany has overcome cancer and her impact on Family Reach. Bethany’s cancer journey began in 2008 at just six years old. It started with a series of minor illnesses and back pain that triggered her parents’ concern. They went to the doctor and soon received the devastating news that their daughter had acute lymphoblastic leukemia. The two and a half years of treatment that followed were challenging for Bethany. She endured numerous cycles of chemotherapy and suffered from several harsh side effects, including severe nausea and a low white blood cell count. This made Bethany vulnerable to infection and resulted in nearly 20 hospital admissions. Bethany is one of five children. Her parents, Lisa and Mario, did their best to hold their family together despite the emotional, physical and financial challenges of battling cancer. But when Mario lost his job soon after Bethany began treatment, the co-pays, gas to treatment and higher insurance rates started to pile up. Bethany at her high school's prom. Thanks to the support of our dedicated donors, the family was relieved of the financial strain of a cancer diagnosis. A grant covered their expensive new monthly health premium, ensuring Bethany’s ongoing medical care. Her parents were deeply grateful for this financial support at such a critical time in their daughter’s cancer journey. Bethany has come a long way since she was diagnosed. After three emotional years of chemotherapy appointments and financial setbacks, she was announced cancer-free and began to live her life to the fullest. She is now a freshman in high school and enjoying every minute of it. 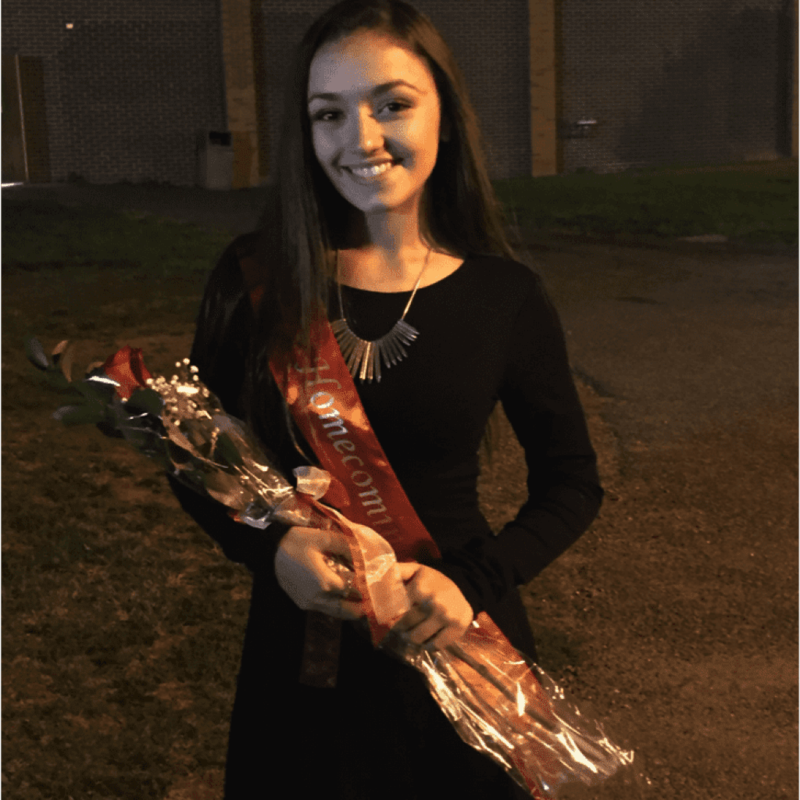 She is a member of the volleyball and lacrosse teams and was chosen as the homecoming princess last fall! This August will mark six years cancer-free for Bethany. Bethany is an inspiration to all of us and we can’t wait to see what her future has in store! Help family’s like Bethany’s. Click here to learn more.